After you are warm, we measure your current golf clubs to establish a baseline to compare new clubs to. We only encourage a change when there is improved performance. Using measurements taken at Profectus and the data collected with your current clubs, your fitter will build several clubs for you to test. Your fitter will help you find which club characteristics suit your swing the best and out performs your current clubs. Your new specifications, a performance report from your session, and a quote for purchase is prepared and shared with you. Your clubs will be built to the exact specifications of the clubs selected during your fitting. They’ll arrive within 21 days of your fitting and can be picked up at Profectus or shipped to you. Our most comprehensive and best valued fitting. 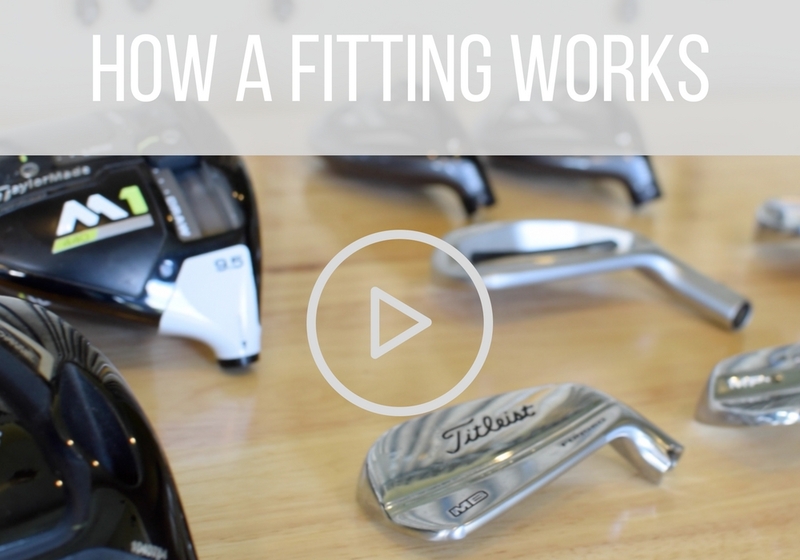 Your expert fitter will go through your entire bag making sure all your clubs work together. You’ll leave Profectus with the right clubs for any shot. Long and Straight, that’s what we’re after. With our combination of equipment and technology our fitters often help golfers unlock 10-30 yards of distance while increasing accuracy at the same time. It’s all about hitting accurate approach shots that fly the right distance when you need them to. Your Profectus fitter will fit you into clubs that are specific to your swing and optimized to perform at the right distance, direction and trajectory. This fitting combines a fairway wood and hybrid fitting. This is a great option for players who are happy with their irons but want to try new technology and make sure their longer clubs work well together. You need a versatile set of wedges that work on all types of shots from the fairway, rough and bunker. Your fitter will evaluate your short game style and fit you for the right lofts, lie, bounce and grind to arm you with the right tools for any shot. FAQ:How to Choose the Right Irons? FAQ: How Far Should I Hit My Irons? HOW IS A PROFECTUS FITTING DIFFERENT? NO NETS: See the ball fly! Test clubs from our indoor-to-out studio or on the grass tee and watch your shots fly out onto the range. No nets or simulator screens! EXPERT FITTERS, who only specialize it golf performance. No selling shoes, shirts or hats. NEVER OFF THE RACK, Everyone is a different size and swings differently. One size DOESN’T fit all. ATTENTION TO DETAIL: Every club is double-checked to make sure the length, loft, lie and swing weight are exactly what you we’re fit for. Am I good enough to have my clubs fit? The answer is most likely, yes. We have fit players of all abilities on the range at PGA TOUR events all the way to high handicappers. If you can get the ball in the air consistenly and there is a pattern to your shots, a fitting will probably benefit your game. If our fitters don’t think a fitting will benefit you, or produce the outcome you desire, you won’t be charged for the fitting. Do I have to purchase the clubs from Profectus? No, you don’t have to purchase the recommended clubs from Profectus. We’ll provide you with the specifications from your fitting session for you take with you. You can choose to purchase your clubs elsewhere, but Profectus only stands behind the results of the fitting if the clubs are purchased through us. Is the fitting fee included if I purchase the clubs? Unfortunately, no. We invest in our services in ways that other fitting options don’t. Our studio, club options, technology and staff of are the highest grade and force us to charge for our services to cover those expenses. As a result, All services must be paid for regardless if merchandise is purchased or not. How long will it take to get my new clubs? Every client is quoted an order delivery within 21 days of the fitting. Most club orders are completed well before that commitment time. We work hard to expedite the process to get you your new clubs quickly as possible. Fill out this form and a Profectus Expert will contact you to learn about your game, your goals and how we can help you achieve them.